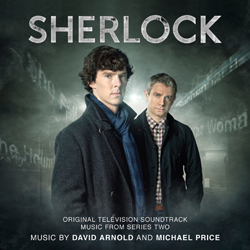 The music for BBC One’s Sherlock series, composed by David Arnold and Michael Price, received BAFTA and Emmy nominations and won an RTS Television Award. David Arnold is one of the UK’s leading film composers, penning the scores to a host of blockbuster movies including Stargate, Independence Day, 2 Fast 2 Furious and replacing John Barry as Bond composer. Michael Price is a multi-talented composer, music editor and arranger whose credits include Band Of Brothers, The Lord Of The Rings and Love Actually.